On April 20, 1987, a startup called Forethought, Inc. released version 1.0 of a long-gestating passion project named PowerPoint. For the tiny company, pulling off the release itself was a triumph. Founded five years earlier by a pair of ex-Apple employees, Forethought originally intended to develop a holistic suite of productivity software that anticipated Microsoft Office by over a decade. After nearly running out of money and executing an emergency pivot, the company had bounced back to the point that they were ready to try, once more, developing their own product. The result of that gamble took the burgeoning corporate software market by storm. PowerPoint allowed users to translate their ideas directly to graphics and text in a user-friendly, WYSIWYG interface. Buyers ate it up. Forethought sold $1 million of PowerPoint in its first month. Three months later, Microsoft bought the company for $14 million in cash. PowerPoint soon became the universal standard in presentation software. Though today’s employees might associate PowerPoint with corporate banality and amateur graphic design, the software’s thirty year run has been full of memorable moments. Scroll down to see the eight times a PowerPoint presentation changed the course of history itself. Abacus is the world’s most efficient expense reporting software. Click here to learn more. The deck that started them all. When PowerPoint 1.0 shipped in April 1987, its preloaded sample presentation imagined Christopher Columbus’ pitch to Queen Isabella in 1492. Thirty years later, the deck remains relevant. It’s still funny, and additionally, still serves as a paragon of a compelling business plan. Most importantly, it swooned those initial users enough to move a massive volume of PowerPoint and establish a new standard in presentation software. In the middle of 2017, Uber was in a state of chaos. After a series of embarrassing and very public controversies, the world’s most famous startup fired founder and CEO Travis Kalanick. The company’s board, itself in the throes of dysfunction, set out to fill the most high-profile job vacancy in a generation. After an interview process that lined up top-tier executives from a variety of industries, the board selected a dark horse candidate named Dara Khosrowshahi, erstwhile CEO of Expedia. 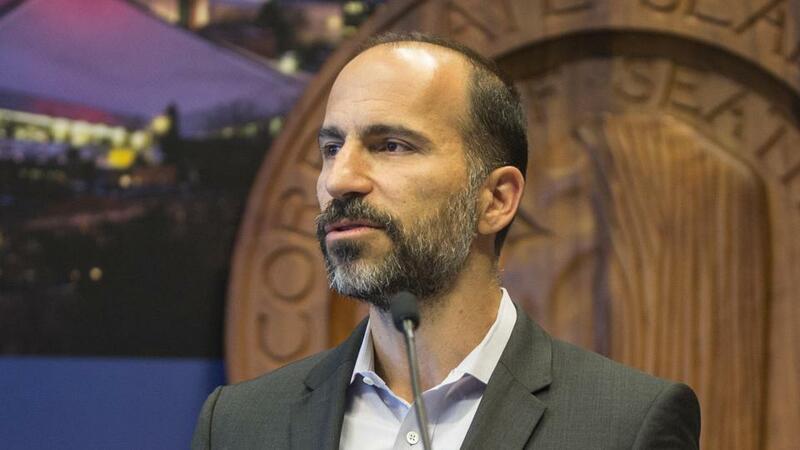 In the days following the surprise announcement, the story emerged that while Khosrowshahi went into the process as a little-known long shot, one moment in his presentation stunned the board: a slide that read, “Don’t call me, I’ll call you.” It was a gutsy declaration that if he were to get the job, he was going to run Uber his way—without meddling from the board or Kalanick. Khosrowshahi’s boldness impressed the board. Days later he was hired as Uber’s new CEO, thus ending one of the most riveting boardroom dramas of the decade. As primary season got underway in early 2012, a number of presidential candidates began taking shots at Fed Chairman Ben Bernanke and his response to the ongoing recession. To counter the rash of criticism, Bernanke set out on a quixotic PR campaign to defend the Fed’s actions and rationale without dumbing down his message. He opened a Twitter account, scheduled quarterly press conferences, and most memorably, delivered a four-part lecture at George Washington University. Lecture #3 from that series, held on March 27, 2012, covered the Fed’s exigent responses to the financial crisis in 2008. Over the course of 55 PowerPoint slides, the then-sitting Fed Chairman went into remarkable depth on his thinking during the market crash, including his “distaste” at bailing out AIG and his “helplessness” to save Lehman Brothers. The lecture offered unprecedented insight into the creation of highly technical, globally influential policy—the implications of which still reverberate today. “What I really want to do here is make Mars seem possible.” Had those words come from anyone but Elon Musk, at any time before late 2016, they would have sounded insane. But after proving doubters wrong with a decade of astounding physical triumphs at Tesla and SpaceX, Elon Musk finally had the public’s attention. When he took the stage before an audience of astrophysicists on September 26, 2016, it was to lay out the clearest plans ever presented to make humanity a spacefaring species. Not everyone was convinced by his 90-minute slideshow. Musk is still dismissed in some circles, and certainly much remains to be worked out about any potential visit to Mars. 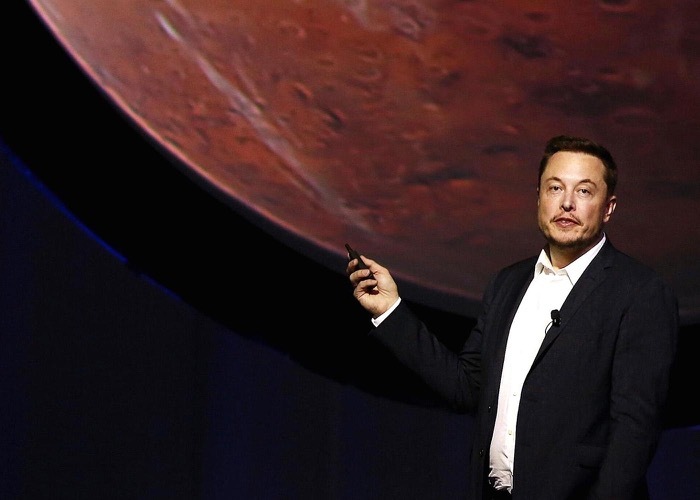 But for putting a stake in the ground and capturing the world’s imagination—with a thoroughly unorthodox presentation style, no less—Elon Musk’s Mars manifest stands as one of the most epic PowerPoint decks ever delivered. In 2009, Netflix’s Chief Talent Officer Patty McCord wrote a PowerPoint presentation that upended tradition and created a new, Silicon Valley paradigm of workplace culture. Whereas before the focus of HR was on regulatory box-checking, McCord’s revolutionary Culture Deck established a bold vision for managing top talent in a competitive landscape. The theory held that the key to an engaged, fulfilled workforce was a commitment to meritocracy: companies should regard themselves like professional sports teams, where merely adequate performance was met with honorable discharge (read: a generous severance package) and employees were treated as “fully-formed adults” who deserved respect. By insisting on hiring “stars” at every position, the team would be motivated by mutual respect and thereby become “a great place to be from” when employees chose to move on. Since its publication, Netflix’s Culture Deck has been viewed over 17 million times. Sheryl Sandberg has called it “the most important document ever to come out of the Valley.” Interestingly, the document’s URL (Netflix_Policiesfor_Expensing_EntertainmentGifts_Travel) suggests it may have stemmed from an attempt to establish the company’s T&E rules. The deck’s 5-word expense policy—“Act in Netflix’s best interest”—has become a legend in its own right. Not that we’d recommend that for everyone. It’s hard to imagine that only ten years ago, Steve Jobs elicited gasps from his Macworld audience when he took out an iPhone, pulled up the desktop, and slid his finger across the screen to open the phone. (See it at 16:00 above.) It was the Big Bang of the mobile phone era, taking place at a time when app icons needed shadowing to remind people that they should be pressed like buttons. Jobs earned a reputation for showmanship over a career full of legendary presentations, but none were more impactful than this, the most historic hardware launch of the past 20 years. To be clear, Steve Jobs probably never used PowerPoint in public. Apple’s own presentation software, Keynote, was developed at Jobs’ request, to his specifications, for use in his keynote speeches. (Only after making it for him did Apple decide to release it to the public.) Still, that software was developed over a decade after PowerPoint had first established the baseline for presentation slideshows. Apple Keynote may be an improvement to some users, but it is undeniably a part of PowerPoint’s legacy. On February 5, 2003, US Secretary of State Colin Powell presented evidence to the UN Security Council that Saddam Hussein, the leader of Iraq, had not complied with UN Security Council Resolution 1441 to disarm his country’s weapons of mass destruction. In a presentation that ran over an hour, Powell attempted to prove that not only had Iraq failed to account for weapons it was believed to possess, but that US and foreign intelligence had observed it developing new weapons. The speech largely reasserted arguments made by President George W. Bush in a recent State of the Union, but the evidence Powell showed the UN seemed new, authoritative, and ominous. With the help of a vial of faux anthrax (26:30 above) and a PowerPoint that displayed diagrams, satellite photos, and transcribed communications, Powell conveyed the intelligence community’s purported conclusion that Iraq posed a threat to the international community. The presentation didn’t convince the Security Council of the need for military action, but for its role in publicly hardening the case for the Iraq War, Powell’s speech—which he later disavowed—stands as one of the most infamous presentations ever delivered. The only slideshow ever to win an Academy Award did more than just excite Hollywood. Davis Guggenheim’s 2006 documentary An Inconvenient Truth also marked the moment that “climate change” first penetrated the culture en masse. According to Google Trends, the term ‘global warming’ was searched more in the wake of the film’s release than any time before or after. This famous presentation wasn’t just delivered in front of cameras, either. Gore toured the world with his ever-morphing Apple Keynote file, adding and subtracting and conforming his presentation to specific audiences. For endurance, for visibility, and for cultural impact on a topic of immense importance, Gore’s presentation stands as the most influential slideshow presentation ever delivered. Got another famous slideshow presentation to add to the list? Leave a comment below! Brought to you by Abacus, the world’s smartest expense management software.